Hollywood Greyhound Track offers more than just exciting live greyhound racing. A Poker Room is open during all live racing days and a Flea Market is open every Friday, Saturday and Sunday. 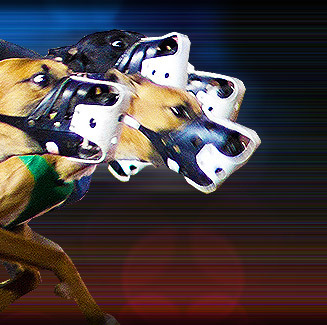 Hollywood Greyhound Track also offers simulcasts of greyhound, thoroughbred and harness races from all over the United States. Racing fans are informed of post times and jackpots through the track's in-house information channel. Hundreds of big-screen televisions are strategically located throughout the facility, so fans can keep track of all the races plus major league sports and pay-per-view special events. Hollywood Greyhound Track is located one mile east of I-95 at US-1 and Pembroke Road in Hallandale Beach, Florida, USA. Hollywood Greyhound Track opened its doors on Dec 1st, 1934, with some 1,200 fans ignoring the sub-freezing temperatures to wager $14,000. The first race was won by Buddy Hawk paying $62.00 to win. In 1940, with the growth of Greyhound Racing, a Clubhouse was added to the Grandstand with improvements continuing through 1969. Hollywood Greyhound Track, as we know it today, opened on November 30th, 1974. The track has a seating capacity for over 4,000 fans and a total capacity of 25,000. The parking lot can accommodate more than 3,600 cars.